Haaretz’s military correspondent joined the crew of INS Rahav, the Israel Navy’s newest submarine, on a brief training cruise. He learned about the unique physical and mental demands of service on the IDF's most expensive war machine, its technological capabilities and why Israeli subs are still off-limits to women. 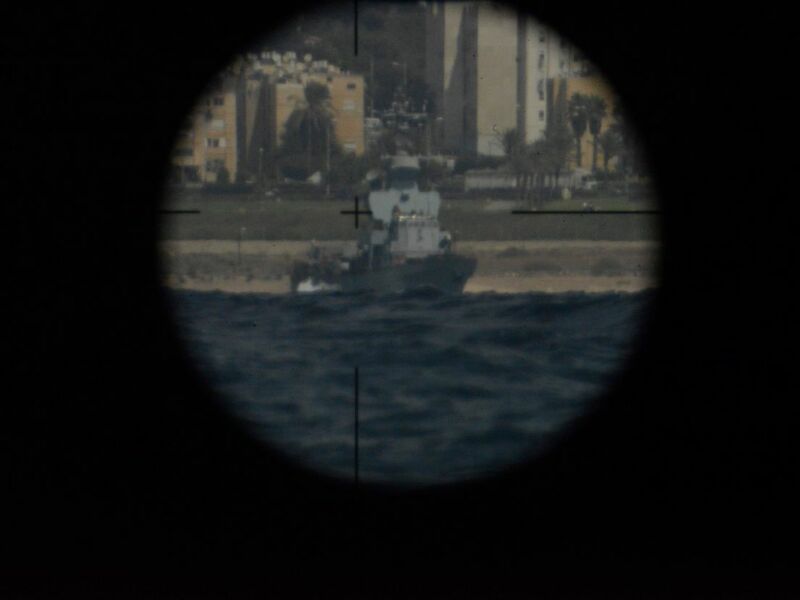 The commander of Israel Navy Ship Eilat, a Sa’ar-5 class Israeli missile boat, was extremely displeased. For some time, INS Rahav, the navy’s latest Dolphin-2 class submarine, had been cruising in the waters beneath him, at fairly close quarters. The sub occasionally lunged up and trained its periscope on the missile boat. Observers on the boat, whose task is to spot such potential threats, hadn’t noticed the periscope’s tip, which is the size of a fist, on the surface. The sub was practicing intelligence gathering, using the missile boat and its surroundings as targets; it wasn’t spotted even when sailors from the boat were lowered into the water in a rubber dinghy. The commander of the missile boat sounded rather offended when the Rahav informed him, somewhat late, of its presence, but Lt. Col. Shalom made no effort to apologize. The whole doctrine of submarine activity is based on total secrecy. In an operational mission, the sub’s identification by the enemy could prove fatal. After all, a submarine is not an aircraft, which can take action to cut off any contact with an adversary’s aerial defense system and escape danger within tenths of a second. Last week’s exercise dovetailed with the farewell cruise of the outgoing commander of Shayetet 7, the Israel Defense Forces submarine squadron, Col. Doron. Military censorship forbids publication of the officers’ surnames. Indeed, there are few areas in which the country’s defense establishment is so stingy about releasing information. In 1999, when the first German-made Dolphin-class submarines arrived in the country (INS Rahav, which the navy took possession of this year, is the fifth), Western media reported that Israel had equipped the vessels with nuclear cruise missiles. Israel, it was explained, had thus acquired second-strike capability: If Iran were to launch a nuclear weapon at Israel, the Islamic Republic would be the target of a nuclear reprisal, as Israel had an alternative offensive capability that was itself immune to attack. These are issues that the country’s political and security chiefs never talk about in public. At most they describe them as “media fantasies,” without elaborating. Accordingly, an attempt to explain in detail the operational activity of INS Rahav, based on observation of a half-day training exercise off the Haifa coast, recalls the fable about six blind men who try to describe an elephant. It’s not because of the short duration of the exercise: A previous cruise, of three days, off the coasts of Norway and Germany aboard Israel’s first Dolphin-class submarine 17 years ago, also produced only partial reportorial results. Doron, the outgoing squadron commander, is 45. Born in South Africa, he immigrated to Israel as an infant with his family and grew up in the Be’er Sheva suburb of Omer and in Rehovot. His naval career began with an officers course, followed by service on missile boats, but he spent the following 22 years on submarines. He will now take a year off for academic studies before being promoted to brigadier general and taking up a sensitive post in the General Staff’s operations directorate. Like Shalom, from the Rahav, he believes that no other assignment in the IDF could afford him the satisfaction he had as a submarine commander. “During my stint as commander, I told myself that it’s really weird that the army is actually paying me to do this,” he notes. The exercise was part of the long and comprehensive training period for the officer with the rank of major who will succeed Shalom in the near future, at the conclusion of his five years as a submarine commander. 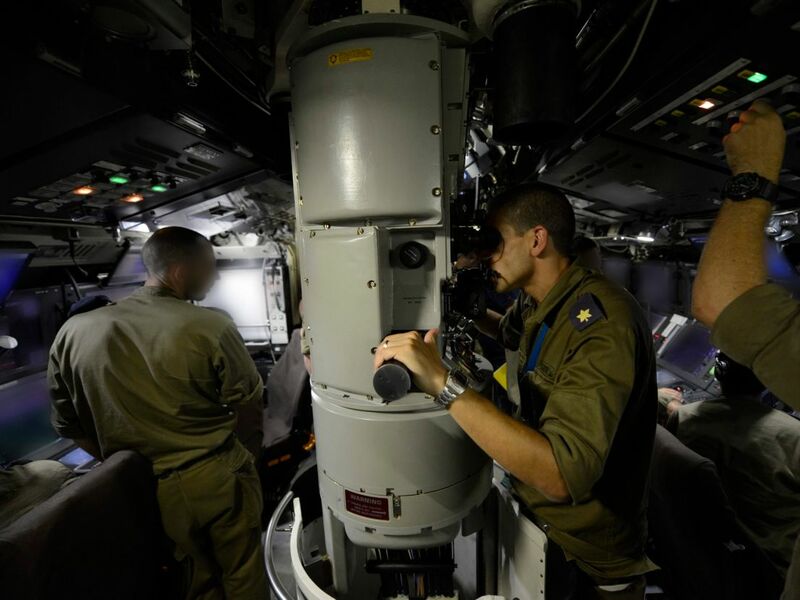 “Rahav” is the name of a sea monster in the Bible, and in conversations with the officers onboard, they harp on the word “monster.” That, in fact, seems like an appropriate word to describe the IDF’s most expensive war machine. The cost of the sixth diesel-electric powered sub that Israel plans to acquire from Germany in 2020 will be in the neighborhood of 400 million euros. In a long sea deployment, of up to a month, the commander of such a vessel is chiefly and indeed exclusively responsible for the sub itself and for the lives of about 50 people – submariners and others seconded to the vessel. While at sea, contact with his superiors in the rear is minimal at best. 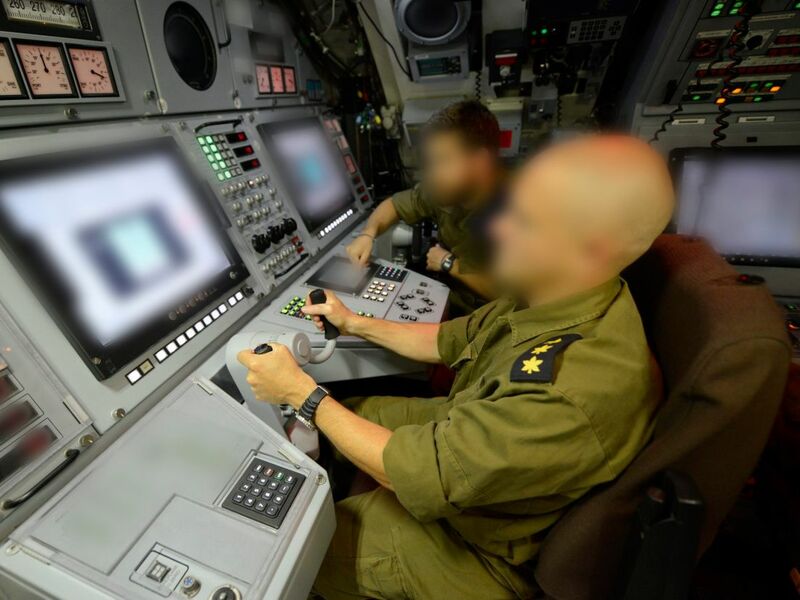 The expansion of the IDF’s submarine squadron from three to five (and eventually to six) demands that additional commanding officers be trained. But it’s still a tiny, exclusive club. A naval officer will be marked out as a submarine commander as he approaches the age of 30. By the time his training ends, he will be 32 or 33. There have been two cases in recent years when the training was halted midway through when candidates were considered inappropriate. But no sub commander in Israel has ever been removed in the course of duty. The long periods spent on a submarine demand an ability to adapt to seriously cramped quarters – even on the new, more spacious models. Only the commander has small, separate quarters of his own, offering a bare minimum of privacy. 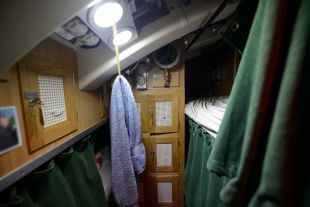 Seven officers and noncoms squeeze into microscopic berthing compartments, each with a locker for personal equipment. The top-security wing of a prison is less crowded, but of course the company and the conditions are definitely better on the sub. Privacy in the toilet? Not really. The door has to remain ajar to allow access, in an emergency, to equipment that’s stored even there. Silence is a vital condition: Under certain conditions, the noise made by the slamming of a door could reveal the presence of a submarine. When Haaretz photographer Tomer Appelbaum raised his voice for a second, crew members gave him a shocked look. Nevertheless, there’s high demand to serve on an Israel Navy sub: One of every 10 candidates makes it through the tough classification and integration process, and only one out of two who are accepted to the track itself will finish the course a little more than a year later. What does the navy look for in a submarine crew member? Doron: “The ability to delay gratification; the ability to get along with others during an overload of missions and severe crowding. You need people who understand that they can’t quarrel with the person in the position next to them, because afterward they will be together for two weeks or more without being able to disengage. Other requirements are high cognitive ability and self-discipline to allow rapid learning of extensive materials. One outstanding feature of submarine service is the need for total severance from the outside world during long missions – almost unparalleled in other operational units. Is such a disconnect still feasible in an era when 20-year-olds are as active in the digital world as they are in the real one, if not more? Doron acknowledges that this has become a problem and necessitates more intensive preparation. “In the submariners course, they already can go weeks without a cell phone,” he explains. “They have to undergo a socialization process geared to service on a sub, and that applies to the parents, too. These days, if a parent can’t get hold of their kid for 10 minutes, they’re already calling the police and the hospitals. That’s the level of availability we’ve become accustomed to. This difficulty becomes more acute when a career man has a family. 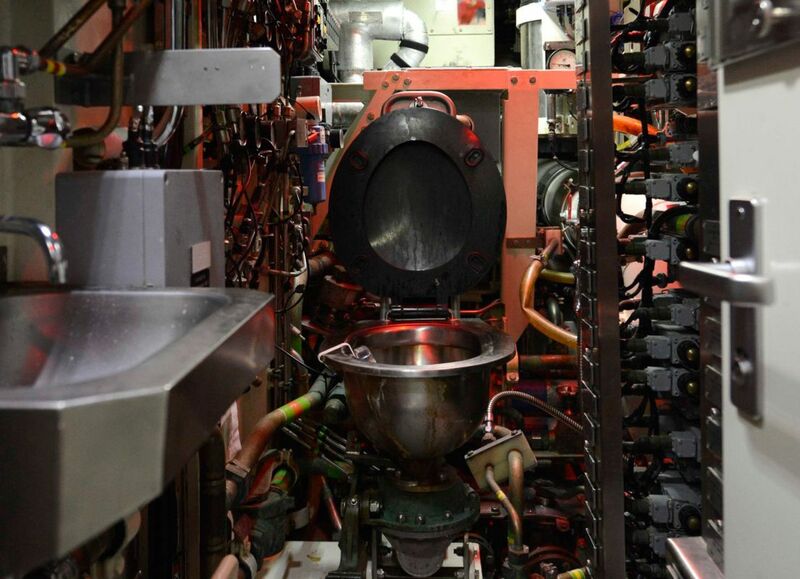 The training mission allows a glimpse, albeit very limited, of the submarine’s tasks and abilities. As part of the mission, it practices intelligence gathering related to the situation on the Haifa coast. A peek into the periscope by an accompanying journalist shows long-range observation and photographic capabilities. Part of the change over the years in sub crews’ training and capabilities is due to heightened cooperation with the IDF’s air force and infantry units. Division commanders from other forces are regularly invited to participate in sea deployments, to acquaint them with the submarines’ capabilities, and to devise joint training schemes and afterward joint operational plans. Soldiers in the submariner track don’t get to witness the true essence of the squadron’s activity until their training is completed. In the meantime, Doron tells them to watch movies about submarines. A fierce dispute broke out five years ago about the acquisition of the sixth sub. Top IDF brass argued that there was no need for another one, but the defense minister at the time, Ehud Barak, was insistent and persuaded Prime Minister Benjamin Netanyahu of its necessity. To date, the project overall has cost 2.5 billion euros. According to officials in the German government, Berlin has subsidized about half the cost. This was a form of belated compensation for the fact that in 1991, in the first Gulf War, German companies were revealed to be involved in the manufacture of chemical weapons for the regime of Saddam Hussein in Iraq. The three last submarines to be acquired by the navy – Tanin, Rahav and Dakar – will all have been equipped with air-independent propulsion that precludes the need to surface frequently for atmospheric oxygen; they are also 12 meters longer than their predecessors. The operational life of Dolphin-class submarines is estimated to be 30 years or a bit more. 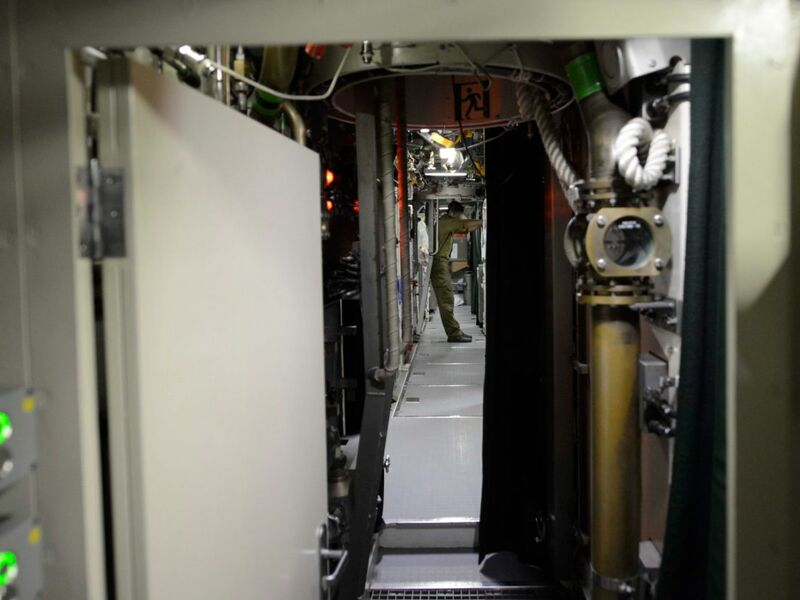 Nevertheless, in a briefing with a senior IDF officer last year, it emerged that the General Staff’s Planning Directorate is readying for the possibility of taking the first submarine, purchased 17 years ago, out of service when the sixth becomes operational. This is apparently related more to the high maintenance costs of submarines than to their lifespans. One thing hasn’t changed since the first Dolphin arrived: In the Israel Navy, submarines are off-limits to women. Women can serve as combat pilots and combat navigators in the air force, and as commanders of missile boats, as artillery commanders and fighters and as combat personnel in the Border Police – but not on submarines (or in infantry assault units or tank crews). In 1999, senior officers promised that the possibility of integrating women on submarines was being examined, but nothing came of it. According to Doron, the possibility was reconsidered recently but with the same conclusions. This might be justified if there were a large number of potential female submariners, not just one or two. “We asked the U.S. Navy for input – they’ve had women on submarines for the past two years,” Doron says. “But they have 72 subs, some of which are bigger than ours, so they have room for maneuver. The Australians have six women in their submarines, which are also larger, and they allocate them a specific area. If a woman gets sick, she is replaced by another woman. But assignment problems arise. The Italians concluded that their effort was a failure. Things were better in Denmark, where a woman has already been a submarine commander.